Deep meanings sicken and heal. ‘Meaning’ only lives in a signifier (meaning-giver). This text for example, has no meaning for a turtle unless it likes to eat the paper on which the text is printed. More generally: If there is no one to understand this text, then it’s just a set of letters that are lumped together, ink and paper. It is only within a reader that the text can get significance. in their thinking, people are natural signifiers. That’s what ‘thinking’ means… by the way. So as you see, also thinking about thinking. Each thought is a manipulation of meanings. A number of issues that are manipulated that way at significance level, exist by themselves. A number of other issue do not. The thinking itself doesn’t furthermore care about this. ‘illness’ and ‘health’ also only get meaning through and within a signifier. So, in principle, one can always choose to be sick or healthy. For a doctor (‘healthy-maker’) this understanding is of utmost importance. One can make someone ‘healthy’ simply by giving him the idea of health, regardless of any other medical or non-medical act. For example. Someone can feel ‘sleepless’ because he sleeps less than 7 hours a night or because he is often briefly awake. Give this person the diagnosis insomnia and he gets sick. Tell him that this diagnosis is unwarranted if he/she is functioning normally during the day and the patient will be healthy again, at least if he/she does not hang onto the own idea of being-ill. This is even (much) more important at the level of deep meaning. Meaning in the sense of ‘this touches me deeply’. Superficial meaning can be looked up in a dictionary. It is horizontal, analogue, this-stands-for-that just like that-stands-for-this. The ideal of this is a mathematical equality. It can be fully understood at a mere conscious level. The difference with deep meaning is gradual. In full glory the latter is vertical, symbolic, this-stands-for-that-whole-world-of-meaning. The ideal of this is a purely poetic metaphor. It can absolutely not be understood at a mere conscience level. Deep meaning is the only thing that really motivates someone, so literally: moves someone from within. Without deep meaning, man is like a programmed robot. It is extremely important to take this into account. Also and especially in sickness and in health. Everything in the domain of psychosomatics comes down to this. Superficial meaning is mainly about the way someone sees him/herself as sick or healthy, which of course determines how someone feels and acts. Deep meaning, however, is about what makes someone sick or healthy from within. It is thus not merely a question of perception anymore, but of becoming and being. And often it is a matter of a lot of pain. 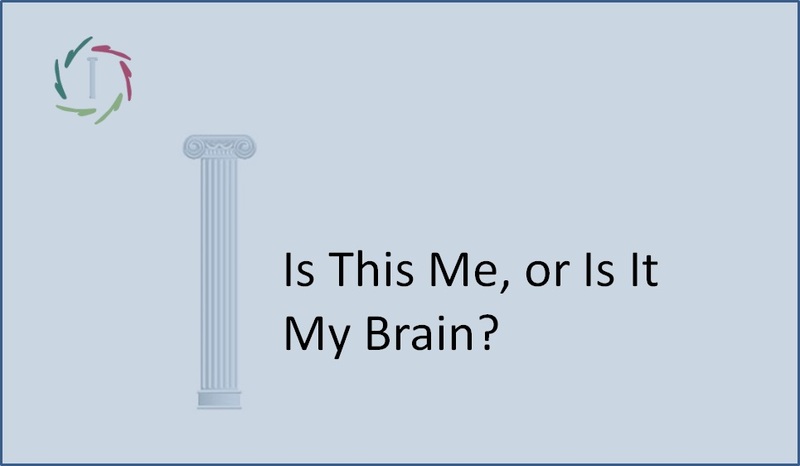 Take the brain of a chronic functional pain sufferer and you will see that it is him/her. His/her deeper meanings have formed him/her and vice versa. 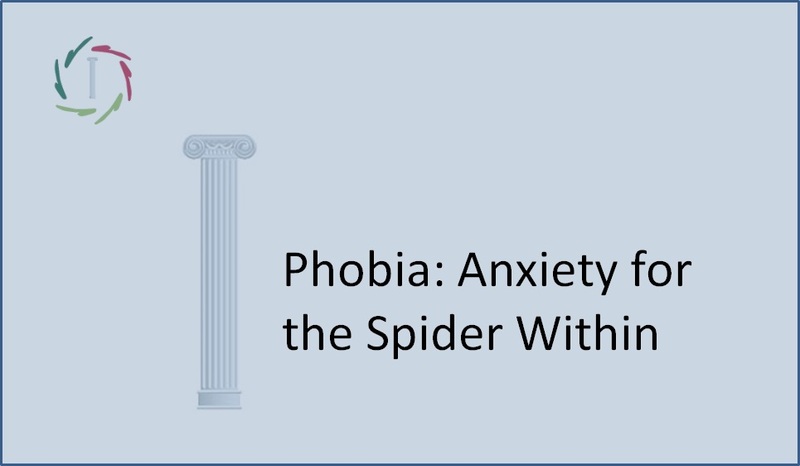 Research shows, for example, that someone who is living with a deep aggression for a long time, might develop chronic pain because of this. Well, this deep aggression is present because of deep meanings. If nothing would have meaning, there would be no reason for aggression. The aggression would just stop, or it would never have existed. A vase with water. The vase is form. The water is content. The water has the form of the vase. In theory, at that moment it would also have that form without vase. In reality, however, without a vase, the water will immediately flow away. A meaning-holder and meaning. Meaning is like water, formless content. Without meaning-holder it flows away immediately. It needs a meaning-holder to get some form, to be visible. 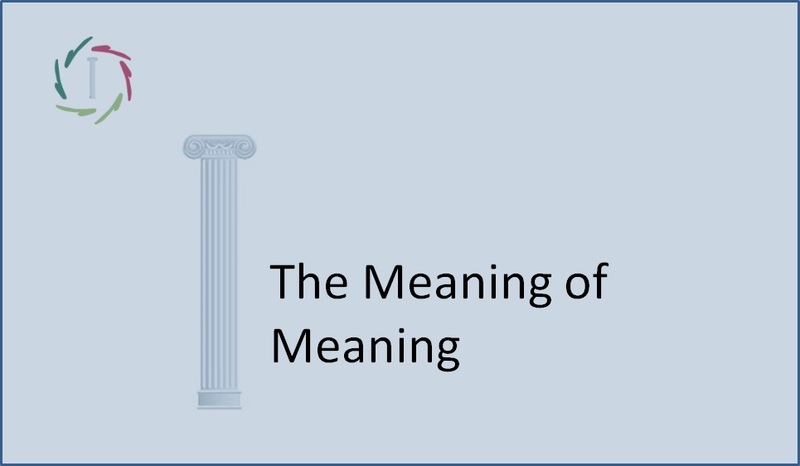 But the meaning-holder itself is not the meaning. ‘Sickness’ and ‘health’ are meaning-holders. The meaning that they ‘hold’ is something completely different. This meaning only gets form by being held, by being referred to, by being considered as a form. Someone who suffers from chronic pain (like me some years ago), eventually does not so much suffer from chronic pain than from its meaning. He may also, in the same situation, not be bothered by pain. He probably does feel something, but it is no pain. Or it is a ‘small pain’ that causes no further burden. Or it is a ‘feeling that one could call pain… but it will be better not saying so now’. It is very interesting to approach this level of meaning directly because this way one gets more choices in terms of form. One is, as it were, going from content to form. To do this, one needs to let go of the current form. However, there is a lot of glue that makes us stick to all sorts of unnecessary forms. This glue is what one calls ‘ego’… Indeed: I’m asking the most difficult thing in the World! At the same time, it’s the only thing in the world that is really meaningful. 14. Is This Me, or Is It My Brain?